Capgemini Hosts its First Ever Hack2Hire Hackathon, HackYeah! Capgemini hosts its first-ever Hack2Hire hackathon, HackYeah! HackYeah! is an innovative hackathon, that we had recently introduced to hire new candidates in an unique format, where evaluators were able to assess a wider range of a candidate’s capabilities and gain insight into how they would perform on the job, rather than the usual face-to-face interview. Everyone knows that a career at Capgemini is cool, but do you know what isn’t? The traditional hiring process. A big reason why companies lose out on top talent is that most are too slow in their hiring procedures (who wants to wait for three months to find out if they got the job or not? ), and thus lose out to companies that are more nimble in their hiring practices. This is where HackYeah! comes in. 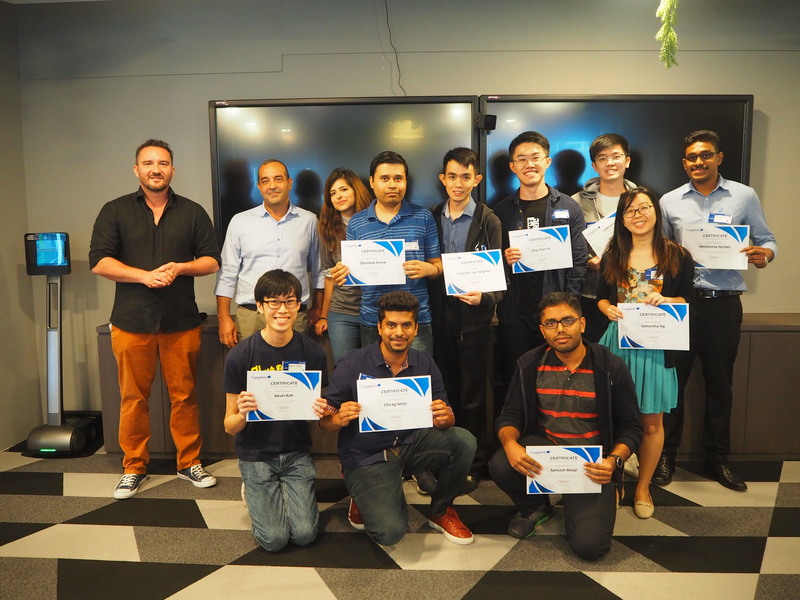 Capgemini recently hosted its first-ever HackYeah! hackathon where 35 participants, selected from a pool of almost 500 people, spent their entire Sunday coding away in the new AIE office at Changi Business Park. The participants, who had very different backgrounds and experiences, were carefully grouped according to their area of expertise, such as full stack developer, RPA, or AI/ML. We had a few experts from Capgemini come down and evaluate the participants as they worked together in their teams on predefined problem statements, including holding interviews throughout the day to see which participants were a good fit for the company. It was terrific to see how the teams worked together, coming up with unique ideas and presenting them in front of a large audience at the end of a long day. Overall, our first-ever HackYeah! hackathon was a huge success as we managed to offer nine outstanding candidates a full-time role at Capgemini. Not only that, but we also awarded trips to San Francisco, London, and Mumbai to the three best-performing candidates of the day! HackYeah! is definitely a different approach to usual hackathons, introducing a unique method of hiring new candidates. Thanks to its unique format, evaluators were able to assess a wider range of a candidate’s capabilities and gain insight into how they would perform on the job, rather than the usual face-to-face interview, where there is only so much that can be evaluated. Some of the attributes that our HR and tech experts looked out for in candidates were how they worked on real problem statements within their team, interpersonal skills, leadership potential, as well as their problem-solving and technical skills. However, just because the event was well-received does not mean that there is no room for improvement. Success is a moving target, after all. That said, future iterations of HackYeah! could consider extending the event to two days to allow for more complex problem statements, and, in turn, more innovative solutions, as well as having teams be cross-functional (eg. AI/ML, RPA, full-stack devs in one team) to evaluate how candidates work across departments and how well they are able to translate their ideas into something that someone without domain expertise would be able to grasp. The current winners of HackYeah! With that in mind, this is definitely not the last HackYeah! and we would seriously encourage anyone who is interested to experience it in person next time! For further information or enquiries, please feel free to reach out to Steffen Schacher, Director of AIE Singapore, at steffen.schacher@capgemini.com.